With a rush of great new shows and with spring fast approaching, Easter theatre breaks are the perfect way to celebrate the end of winter in London, providing the perfect choice for a relaxing and entertaining getaway. Choose a matinee and you can spend your evening at one of London’s top restaurants, book an evening performance and enjoy the sights and sounds of London throughout the day. Or even better, consider a short theatre break that allows you to do both. 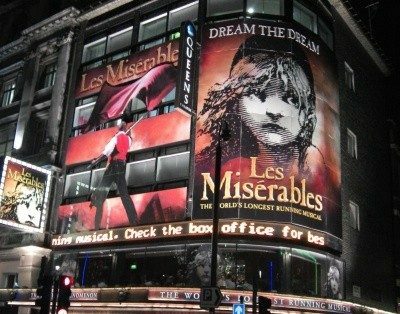 Either way, you will be spoilt for choice as theatre in London truly provides something for everyone. If you are considering the option of Easter theatre breaks with the family, there are a number of shows that can be happily enjoyed by all. Youngsters in the family will be enthralled by the puppetry and majesty of The Lion King on stage. 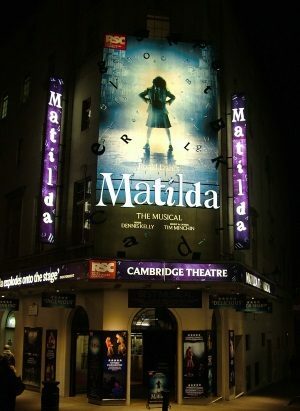 And it is almost impossible to resist the wit, wonder and whimsy of Matilda the Musical. For families with slightly older children consider the touching story of Wicked with its powerful message of identity, magically entertaining audiences night after night. Theatreland has long taken inspiration from the silver screen and in recent years the West End is no exception. The hit movie has become the hit stage show of 9 to 5 The Musical is just as much fun as the award winning film, with great music by Dolly Parton. Andrew Lloyd Webber is a name synonymous with the West End and theatrical entertainment and The Phantom of the Opera is considered his masterpiece. Dark, dangerous and full of passion, it is a show that lives long in the memory of those who see it. 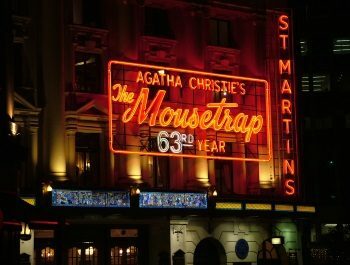 A polar opposite, but no less gripping, Agatha Christie’s The Mousetrap is currently commemorating a theatrical milestone – 65 years in the West End. Last but by no means least, there is no better time to see the world’s favourite musical, Les Miserables. The movie is impressive but the sheer power and emotional impact of witnessing the stage production is an unequalled and unparalleled experience. With an unrivalled choice of shows, a vibrant city and a great choice of theatre and hotel packages available, there has never been a better time to enjoy a London short break this easter.